Floods have been, and continue to be, a destructive natural hazard in terms of economic loss to the citizens of Arkansas. Since 1978, flood insurance policy holders have received over $154 million in claim payments. The real cost to the State is much more since most of the State’s flood-prone property owners do not have flood insurance. 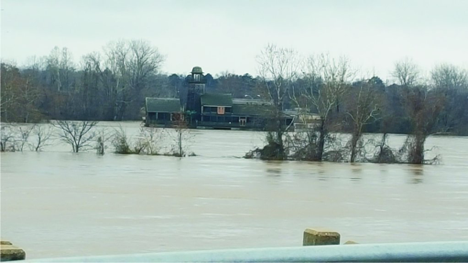 To help Arkansas communities reduce the risk of flooding and provide assistance to recover when floods do occur, the Arkansas Natural Resources Commission, Floodplain Management Program administers the National Flood Insurance Program (NFIP) for the state of Arkansas. 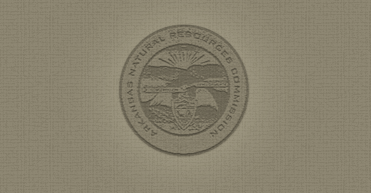 The NFIP is a Federal program created by Congress and administered by the Federal Emergency Management Agency to minimize future flood losses through sound, community-enforced building and zoning ordinances. Additionally, the NFIP provides access to affordable, federally backed flood insurance protection for homeowners, renters and business owners. Participation in the NFIP is based on an agreement between local communities and FEMA that states that if a community will adopt and enforce a floodplain management ordinance to reduce future flood risks to new construction in flood-prone areas, the Federal Government will make flood insurance available within the community as a financial protection against flood losses. Currently, 424 Arkansas communities participate in the NFIP. Am I in Danger From Floods? Flooding can be caused by storms, dams or levees breaking, new development changing how water flows above and below ground, and much more. Flood-prone areas in Arkansas have been identified in many counties, cities, and towns. These flood prone areas are called Special Flood Hazard Areas (SFHA). The SFHA is that portion of the floodplain subject to inundation by the base flood (100-year) and/or flood-related erosion hazards. If you have a home in the SFHA, there is a 26% chance that your home will flood before you pay off your 30-year mortgage. SFHAs are shown on FIRMs as Zones A, AE, AH, AO, and AR. You can find out if you are in an SFHA by visiting the FEMA Flood Map Service Center at https://msc.fema.gov/portal/home. But Remember! Not all flood events occur in the SFHA. Twenty-five percent of flood claims are for a home not in a floodplain. Many of these floods are local, affecting only small areas or a few watersheds. Others are associated with flood events that go beyond the SFHA. Every homeowner, business owner, and renter in Arkansas communities that participate in the NFIP may purchase a NFIP flood insurance policy. And it does not matter if you are in or out of the floodplain: approximately 25% of all flood damages occur outside the mapped flood zone. Many people mistakenly rely on their homeowners insurance to recover from a flood. Unfortunately, it’s often after a flood that many people discover that their homeowner or business property insurance policies do not cover flood damages. And Federal disaster grants do not cover most losses and repayment of a disaster loan can cost many times more than the price of a flood insurance policy. The Arkansas Natural Resources Commission, Floodplain Management Program urges YOU to protect your financial future by getting a flood insurance policy. Learn more at http://www.floodsmart.gov. For advice on flood information and permits, call your community’s building permit office, engineering, or planning department. 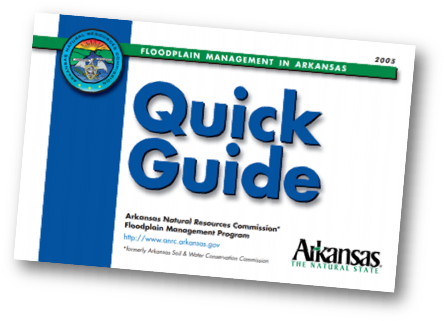 You can also contact the Arkansas Natural Resources Commission, Floodplain Management Program for help at 501-682-3969. To learn about flood insurance, call your insurance agent. Most insurance companies can write an NFIP policy for you. If you need more help, call the National Flood Insurance Program’s toll free number to get the name of an agent in your area who does write flood insurance. The number is 800-427-4661.